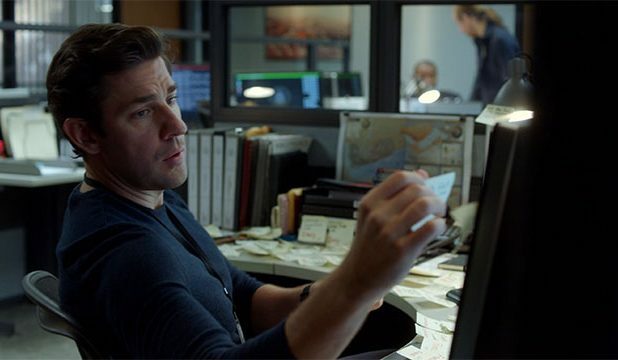 Amazon’s Tom Clancy’s Jack Ryan is finally here, and we are recapping every episode of the season. Come along with us as we see how the legendary character has been re-imagined for TV. Jack almost ran into an oncoming car on his bike. The angry driver turned out to be Jim Greer, the new T-FAD Group Chief. He was reassigned after a disastrous incident in Karachi. During Jim’s first meeting with the analysts, he asked them to brief him on what they’d been working on. Jack covered Yemen, and he red-flagged suspicious SWIFT transactions (international money transfers). Jack believed that they were from a high-level target named Suleiman, the next Bin Laden. Jack found transactions all linked to an account for a shell corporation. They sent $9 million over six transactions, even though large amounts attract attention. Jack believed that whatever Suleiman was planning, he was ready now. He tried convincing Greer to order a demarche to freeze the account. Greer wasn’t convinced. However, Jack convinced a treasury officer to put in the request anyway. In Yemen, some trucks bearing men with guns arrived at a compound where Suleiman’s wife, Hanin, played with her children. Al Radwan brought an outsider to stay with them there on Suleiman’s request. She was wary of him. While bringing him tea, she watched him drop vials of liquid in olive oil bottles. He loaded the crate of olive oil onto a truck that drove away. Greer knew Jack was behind the demarche and he was furious. He pointed out that leaving the account unfrozen could have helped them obtain more information. However, Jack’s instinct led to the capture of two men meeting with a bank manager. Jack went to a party for former boss Joe Mueller from his days on Wall Street. He quickly realized Mueller invited him to get some State Department information for an investment decision. His encounter with Mueller’s daughter, Catherine, was interrupted when a coast guard helicopter landed to take him away. 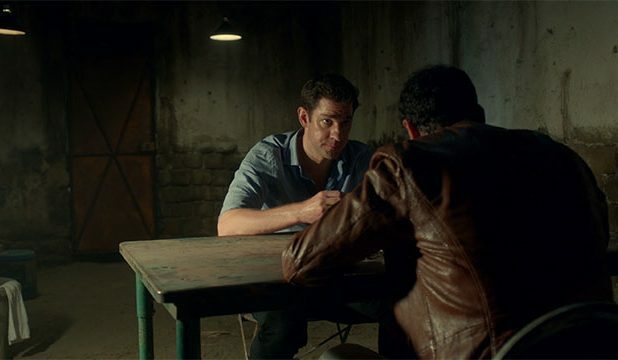 Greer brought Jack with him to Yemen to help with interrogating the two captured men, Rahbini and Soufan. The soldier believed Rahbini had initiated the meeting while Soufan was his bodyguard. The interrogation was going nowhere, but Jack noticed Soufan react to words in English. He brought Soufan food and spoke with him. Meanwhile, the soldiers outside paid a man for four dead bodies found after a drone strike. They would store the bodies to be identified later. However, one of the bodies was alive, and the other three were used to smuggle in parts of an assault rifle. The truck that brought the bodies came back and blew up the side of the military compound. It was a coordinated attack. The inside man killed Rahbini; he was there to rescue Soufan, who was Suleiman. Jack fought him, but Soufan escaped with his rescuer. We saw a flashback depict two boys, both scarred from an attack. The boys were Suleiman and his brother, the man who helped him escape. 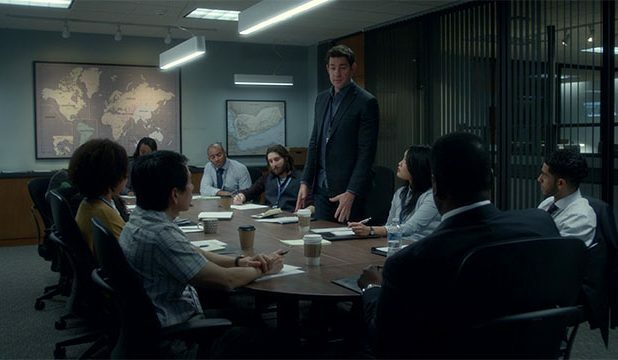 What did you think about Tom Clancy’s Jack Ryan season 1 episode 1? Let us know in the comment section below! 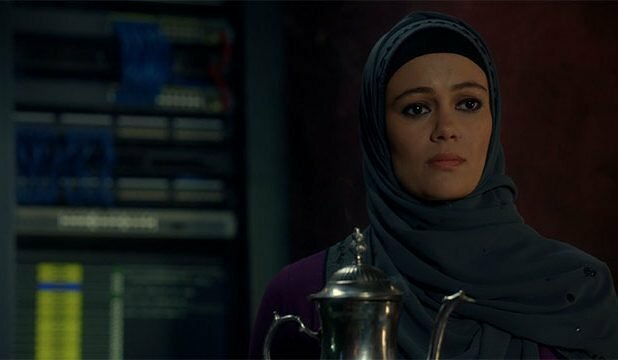 The post Tom Clancy’s Jack Ryan Season 1 Episode 1 Recap appeared first on ComingSoon.net.